Some of the sample’s of varieties of medical Marijuana at Garden Remedies Facility in Newton. 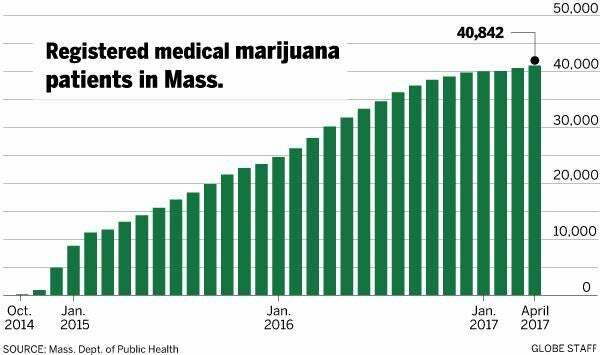 With retail pot shops set to open next year in Massachusetts, advocates are worried that medical cannabis patients could be forced to pay higher prices for the drug, lose access to specialized preparations, or simply end up marginalized among the coming flood of recreational users. To ensure medical marijuana lasts, proponents are lobbying for changes that include making it easier and cheaper to register as a patient, guaranteeing a steady supply of marijuana just for patients, and encouraging investment by allowing nonprofit medical dispensaries to convert to for-profit businesses. A few even want the state to handicap the recreational pot sector with high taxes and tight local controls. That would make it tougher for dispensaries to convert en masse to recreational operations, as has happened in some other states that legalized marijuana. Delaney — whose opposition to the ballot initiative legalizing recreational pot made him highly controversial among advocates — wants taxes on marijuana sales increased to 25 percent, from the current maximum of 12 percent. Medical marijuana is currently not taxed. He also wants to make it easier for municipalities to ban recreational shops by allowing local elected officials to decide instead of putting the question to a communitywide vote. Jim Borghesani, a leader of the 2016 legalization ballot initiative, said those proposals are nonstarters. Though they expect some to migrate to recreational shops, advocates say there will remain many patients who require specialized marijuana treatments. Some — such as those with seizure disorders — consume “noneuphoric” strains or preparations of cannabis that have low levels of psychoactive THC. These products contain other cannabanoid compounds that may bring health benefits but don’t produce the sensation of being high. 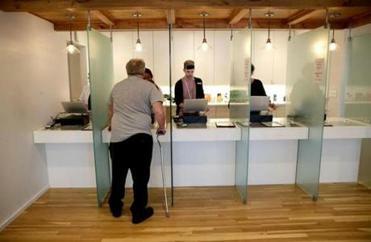 A patient waited at one of the care advocate stations at the Garden Remedies facility in Newton, which offered a variety of medical marijuana. Patients and their physicians are worried that shops oriented to recreational marijuana, where most customers are looking for a strong high, won’t bother with such products. Tishler is also concerned recreational shops won’t provide a sufficiently serious, medical atmosphere. He and the Massachusetts Patient Advocacy Alliance want regulators to create a pharmacy-style system in which dispensaries fill prescriptions for patients in a separate area from “over-the-counter” recreational sales. “My elderly patients in particular are very concerned that the recreational system might turn the cannabis shops into more of a head-shop-esque milieu,” Tishler said. Many of the anxieties of medical cannabis proponents stem from the problems other states have experienced when adding recreational pot to the mix. Washington state, for example, merged the recreational market with its little-regulated medical program, imposed a 37 percent tax on all cannabis sales, and capped the number of marijuana shops. The result was the closure of hundreds of medical dispensaries and higher prices, which sent many patients either back to the black market or over the border to medical shops in Oregon. But there, too, many dispensaries abandoned the medical program to chase the larger recreational market after Oregon legalized pot in 2014. By contrast, the medical industry has remained relatively stable in Colorado since pot legalization, with about 95,000 active patients. That’s in part because some communities banned recreational shops, leaving only medical dispensaries in those areas. Registered patients are also exempted from some marijuana taxes, can buy and possess more marijuana at once, and are allowed to buy products with higher concentrations of THC. Another proposal from Delaney, the lobbyist, would allow medical dispensary groups to operate more than the three storefronts currently allowed, and to shed their nonprofit status. Dispensary owners said the prospect of reaping profits from sales to patients would help their businesses; the measure could also help attract investors to pay for the build-out of the many dispensaries that have received state licenses but not yet opened. Otherwise, the incentive is for medical dispensaries to convert to recreational pot, which could leave patients without options for medical treatments, said Karen Munkacy, owner of the Garden Remedies dispensary in Newton. Patient care advocate Cynthia C. Mortali filled an order for a patient at the Garden Remedies facility in Newton. Many of the state’s medical dispensaries have indicated they would take advantage of a provision in the new law that allows them to apply for recreational licenses before new operators. That would allow them to sell to any adult instead of only registered patients, of whom there are currently about 40,000. The state has yet to issue rules for recreational marijuana. So it’s unclear, for example, whether a dispensary can keep a nonprofit medical operation under the same roof as a recreational shop. 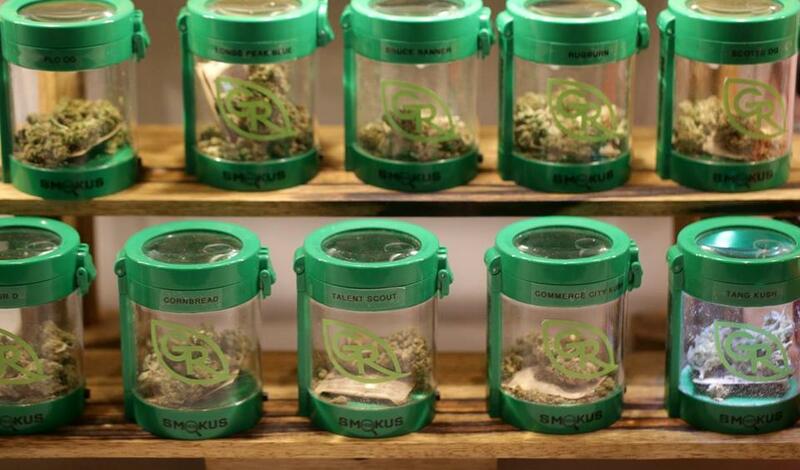 The advent of recreational pot may offer hidden benefits to the medical market, however. For example, a migration to recreational shops of users who faked ailments to get a medical card will leave behind a medical market populated by patients who genuinely need treatment, said Tishler, the physician who prescribes marijuana. That could persuade hospitals and mainstream scientists to do more research on marijuana’s potential medicinal applications, and pharmaceutical companies to develop new medicines based on the plant.